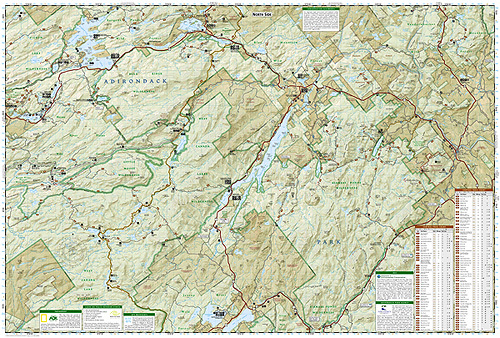 Adirondack Park: Old Forge/Oswegatchie [ti745] - $10.95 : Trail Explorers Outpost, Keeping the Adventure Alive! 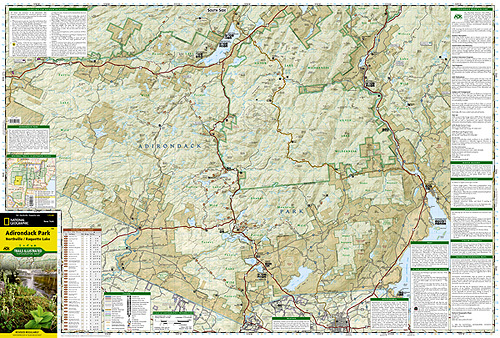 The National Geographic's- Trails Illustrated folded map is your essential guide for outdoor exploration of the Old Forge and Oswegatchie area. The brilliantly illustrated topographical representation shows all trails, campsites, and recreational features, plus relevant info on wildlife, history, geology, and archaeology. Coverage includes Ha-de-ron-dah, Pigeon Lake, Pepperbox, and Five Ponds Wilderness Areas. Black River, Fulton Chain, Independence River, Watson's East Triangle, Aldrich Pond, Cranberry Lake, and Horseshoe Lake Wild Forests. Lake Lila Primitive Area. Little Tupper Lake. Inlet, Star Lake, and Tupper Lake.